True confessions: Not sure what exactly I would find in Thailand, especially after we headed out of Bangkok, I packed several glass jars of organic baby food in a heavy-duty Ziploc bag in one of our checked suitcases. Did it add a bit of extra weight? Heck ya. Did any of it break or leak? Thankfully, no. Would I do it differently today? You bet. I’m loving these new organic baby food pouches – which even my older children happily guzzled down yesterday as a fruity side course to an otherwise starchy snack (yes, there are beets in there!). There are so many options available now, with clever blends of fruits and undetectable vegetables blended in for good measure. The pouches are shelf-stable, so they need no refrigeration (until after they are opened), plus they are lightweight and squish nicely into the corner of your diaper bag or outer pocket of your day pack. Click here to check out the wide variety of organic and GEI-free blends available, ranging from simple fruit blends to savory meat and veggie meals, made for those only 4 months old on up through toddlerhood (or in our case of my older kids, beyond that). I think I will not only stock up on these for our outings, but for our earthquake / emergency kit as well. Have you tried any of these pouches with your little ones yet? Click here to see more “Pack This!” recommendations – and don’t forget to enter to win our CARES harness giveaway on now! 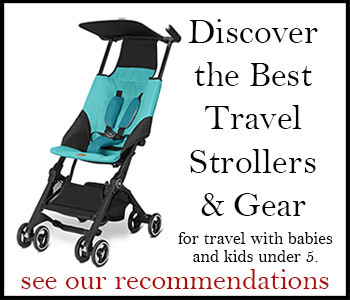 Easy alternatives to car seats for travel? Three favorites on sale now with FREE shipping! 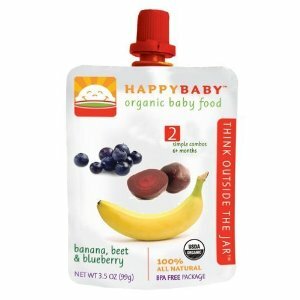 If you are ever in Bangkok I found a online store, http://www.bunnyleaf.com, that carries this brand of baby food, and they carry baby products that are hard to find in Thailand. I like the organic baby food, too. They are so delicious and as you said, don't need refrigeration.